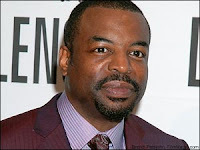 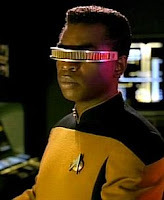 Too Saucy: "I'm running a Level 1 diagnostic"
I just saw LeVar Burton in a bad made-for-TV movie (one of those corny "women in distress" Lifetime things) and, damn, does he look weird without the Star Trek: TNG Geordi goggles. 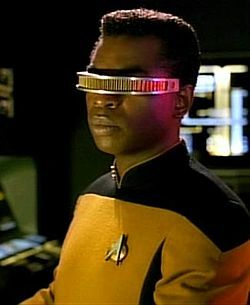 He was a key player in what is considered probably the best TV miniseries ever made (Roots), but without those goggles, meh. lol those Lifetime movies are HORRIBLE!